(CNS): Two men whom the prosecution claimed had been seen escaping the scene of a robbery in West Bay earlier this year have had the case against them dismissed after the judge found there was no evidence implicating the men. Justice Charles Quin released Dennis Ebanks and John McLaughlin on Thursday after an application by the defence that there was no case to answer as it had become apparent during the trial that none of the witnesses in the case were able to link them directly to the robbery. Although the two men had been seen getting into two vehicles across the street from the robbery, there was no other evidence to link those men with the crime. Ebanks and McLaughlin had been charged with a daylight heist at the Tortuga liquor store in West Bay because witnesses outside the store said they saw two men who were acting suspiciously just after the robbery get into two different vehicles, and as a result called in the registration numbers. The men in those cars were then stopped by police and later arrested and charged with the robbery but no other evidence was presented to the court that indicated either of the men were in fact the robbers. On the day of the crime two masked men held up the store at gunpoint and made their escape with around $2,000. The store is situated between the Turtle Farm, the Cayman Car Museum, a dolphinairium, the Cracked Conch restaurant and the Macabuca Tiki Bar, all of which are popular tourist locations. The hold-up took place on a day when there were four cruise ships in port. (CNS): The chief justice now holds the fate of 26-year-old Devon Anglin in his hands after hearing all of the evidence against the West Bay man who is accused of murdering Carlos Webster in the Next Level Nightclub in September 2009. Anglin's case was heard by judge alone and he must now await the decision of the country's most senior judge who said Thursday that he would take time toconsider his verdict but did not reveal when he expected to deliver the ruling. Anthony Smellie dismissed the no case submission submitted by the defence team Thursday morning, stating that he believed the crown had made a case against the defendant that could on one view of the evidence be properly considered. However, following the judge’s ruling Anglin did not take the stand and called no witnesses in his defence, leaving his lawyer to make submissions in a closing speech on his behalf. The crown’s case depends heavily on the evidence of two anonymous witnesses, whose identities remained under wraps throughout the trial. Although the judge was able to see and hear the witnesses via video link and head phones, the rest of the court only heard the witnesses via a distorted audio link. The first witness stated that they had seen Anglin pull a gun from the waist band of his pants and shoot Webster near to the bathrooms in the crowded nightclub. The second witness said they did not see the actual shooting but saw the defendant standing close to Webster a few seconds before he heard shots and before he turned a few seconds later to see the defendant head towards the exit holding a gun, which he was pushing into the waist of his pants. In her closing statement the director of public prosecutions, Cheryll Richards QC, told the judge that with the evidence of the two anonymous witnesses together with corroborating evidence from the CCTV, the crown had proved that the accused was the gunman who shot and killed Webster that night. Richards said the expert evidence, along with the eyewitnesses together with the circumstantial evidence presented a cogent and compelling case that proved the charges against the defendant. The inconsistencies between the witnesses and the CCTV and the errors they made in recollection were not sufficient to undermine the entirety of their evidence, the DPP said, as they were not material. She also told the court that there was no evidence or motive for either of the anonymous witnesses to lie. Anglin’s defence attorney, Dorian Lovell-Pank QC, however, stated that the inconsistencies were material and so much so that the judge could not safely convict his client. 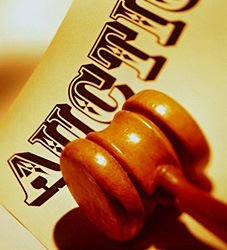 He said the crown had presented serious inconsistencies in its evidence that undermined the integrity of its own case. The prosecution was arbitrarily selecting from the evidence to suit its own theories of what could have happened that night, he added. The lawyer said the only question that the judge had to consider was whether the gunman was Devon Anglin or not. He said that while it was not contested that his client was in the club that night, it was contested that he was the man on the CCTV who the crown contends was the gunman. The crown had presented such contradictory evidence which was so unreliable that no court could feel sure that the defendant, Anglin, has been identified as the man who shot Carlos Webster, Lovell-Pank said. If the court were to apply the proper intellectual rigour, he said, the only proper verdict it could return would be one of not guilty. On hearing both closing statements, the judge said he would now need time to consider the verdict on the three counts with which the defendant is charged. Alongside the charge for the murder of Webster and possession of an unlicensed firearm, Anglin is also charged with the attempted murder of Christopher Solomon, who was hit in the stomach by a bullet that the prosecution believe passed through Webster’s forearm. Webster was killed by a bullet wound to the head but the gunman fired at him three times in the crowded nightclub at around 1:30 in the morning of 10 September 2009. 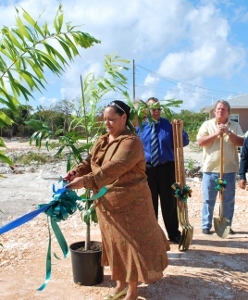 (CNS): Eight different construction companies have been contracted by the Sister Islands Affordable Housing Development Corporation (SIAHDC) to build the next eight affordable homes on Cayman Brac, though it has not stated how the contracts were awarded. But as the contractors are expected to hire up to 8 workers apiece, the project is being lauded as a boost to the island's economy. In phase three of the project, four houses are to be constructed at Watering Place and four at West End. In the first two phases of the project there were no qualified applications at the time from people wanting to live in Watering Place, so under the previous board all eight homes that have been built so far are at the West End site. Deputy Premier Juliana O’Connor Connolly, who is District Administration minister and a Sister Islands MLA, said she wanted to build 100 more homes but government did not have the cash. However, local contractors welcomed the work. The eight contractors are C & C Construction, Dixon Contractor, DSS Contractor, Eastwing Construction, McLean Contractor, Ricky Walton Construction, Quality Constructor and Vander-Built Contractors and they are expected to complete this phase of the SIAHDC housing project in April government officials said in a release. The current plans are for one 2-bedroom and three 3-bedroom homes to be constructed at the Watering Place location, and two 2-bedroom and six 3-bedroom homes at West End. The plans are similar to the existing homes, which are 855 sq. ft. for a 2-bedroom home and 1,073 sq. ft. for the three-bedroom unit. At the ground breaking ceremony O’Connor-Connolly revealed that the West End site where there are already a number of government homes will also have 10 acres demarcated for "educational purposes". The minister said she had told the board to give a chance to everyone especially the neediest cases. “It doesn’t matterthe person’s circumstances; what matters is their ability to pay. That has been my instruction to the board of SIAHDC,” she added. With other people on the Brac hoping for homes in the areas where they grew up, she challenged them to help SIAHDC find suitable land in those areas for another housing development site. For more information on how to apply for a home in Sister Islands Affordable Housing Development Corporation subdivision, please call 948-8177 or e-mail to siahdc@candw.ky or visit the SIAHDC Office Unit 8 Avistar Building. 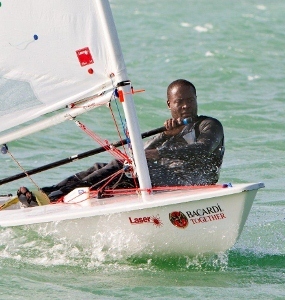 (CISA):The 2011 Bacardi National Laser Championships were held in the North Sound by the Cayman Island Sailing Club (CISC) over the weekend of 26th and 27th November 2011. Racing was extremely close and the conditions tested every sailor to their full ability. In the end the two main fleets, the Laser Standard fleet and the Laser Radial fleet were won by a single point. Three races were held on the first day of racing and provided the strongest wind conditions that the competition has experienced in the last three years. Peta Adams, the race officer for the event said, “The conditions on day one made the regatta a real test of seamanship first, before trying to beat your closest competitor”. 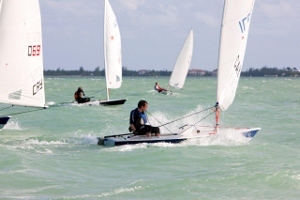 Three races were held on the first day of racing and provided the strongest wind conditions that the competition has experienced in the last three years. Peta Adams, the race officer for the event said, “The conditions on day one made the regatta a real test of seamanship first, before trying to beat your closest competitor”. The first day saw a broken mast, nose dives, epic surfing sessions on the renowned North Sound chop and plenty of capsizes. The stand out performance of the day was Raph Harvey in the Laser Standard full rig, who won all three races placing a firm grip on the trophy. The other was Aaron Gardner in the Laser Radial fleet who led his class into the second day of racing on Sunday. After the first day of racing the Saturday night function was full of long stories of the close calls – aided by the regatta refreshment – Bacardi dark and stormy. On the second day the wind dropped a little, but the waves were still a challenge and after a gruelling first day of racing the competitors were given no respite. Peta Adams set some fast, fun triangular courses to test the sailor’s reaching and gybing abilities. Nick Taylor found his form winning the last three of the day’s four races, but by then Raph Harvey had amassed an unbeatable lead. Raph said, “Nick and I were battling it out for every moment of every race and were only seconds away from each other most of the time! There was never any let up and while I was pleased to win the regatta the trophy could have easily have gone Nick’s way”. Kelvin Browne found some consistency to take third and Mike Farrington sailed two good finishing races to come fourth and secure the Clydesdale (or heavy-weight) trophy. In the Laser Radial fleet, Eduardo sailed brilliantly to come first in the final three races and therefore win the Radial class. Chris Delaney came second by a single point, unable to break Eduardo’s dominating end to the regatta. Last year’s Laser Radial winner, Tomeaka McTaggart, came third. All the sailors would like to thank Peta Adams and her support crew for putting on two days of perfect racing and course management in harsh weather conditions; Bacardi for sponsoring the event and for the great prizes; and the Cayman Islands Sailing Club for managing and organising another successful Laser Nationals. (CNS): Despite the speculation over the status of government’s proposed investment partnership and crown land swap with the islands’ biggest developer, Dart has revealed it is still going ahead and clearing the land for the Easterly Tibbetts highway extension. The developer said Wednesday that it had provided temporary work for as many as 30 unemployed Caymanians right before the holiday season. The temporary work involves clearing Dart owned land, in preparation for the northward extension of the road which is one of the alliance’s West Bay Corridor Projects. The highway will be extended to Batabano Road and Reverend Blackman Road will be extended to become a connector between the Esterley Tibbetts and Willie Farrington Drive. In the short term, the highway extension will provide employment for local businesses, contractors, truckers, labourers and heavy equipment operators, and these new jobs will collectively boost the economy, it added. Dart said that in the long term, the extension will improve access between West Bay and George Town; significantly reduce traffic congestion on West Bay Road; and decrease the probability of damage to the road from storms , hurricanes and nor’westers. The road is also needed as part of the investment alliance includes a land swap between government and dart including 2300 feet of the existing West bay road which will be closed to turn the property Dart has purchased in the area into a beach front resort. There is however a considerable level of opposition to this element of the proposed deal and the movement to preserve the road handed a petition with some 4000 signatures opposing the move to the governor on Monday. Government announced plans to enter into the partnership with the Dart group earlier this year but the main agreement has not yet been signed. Since the announcement government has signed a financial framework agreement with the FCO that sets out certain requirements before government can enter into public-private partnerships and it is not clear how this will impact the proposed deal. (CNS): The government pushed through amendments to the music and dance law on Monday, paving the way for liquor license holders to apply to the board for extensions on New Year’s Eve, which this year falls on a Saturday night. The law fell foul of the 21 day constitutional requirement, however, and the opposition leader said that regardless of whether he supported the change or not, the last minute amendment was another example of government by crisis, given that everyone had known for some time that the celebrations would be impacted by the law. Miller abstained from taking part in the debate because the bill was unconstitutional. The premier admitted that the decision to change the law was late in the day but was simply down to a mix up as the government was unaware that the board did not have the discretion to grant extensions. Once government recognised the problem it moved to change the law to deal with the issue. 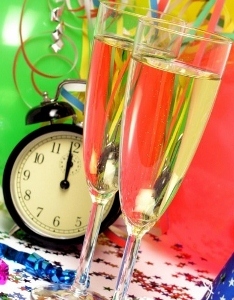 Although it had been anticipated that the government was moving to give the board the discretion to allow extensions on any holiday that fell on a Saturday night Sunday morning or on Good Friday, the amendment to the bill was in the end altered at committee stage to limit the change just to New Year’s Eve to assist the tourism sector. The law, which restricts the combination of music and booze and in the same place on a Sunday, remains unaltered. Once the governor assents to the bill, the liquor board will need to convene a board meeting as it could face hundreds of applications for extensions on what is one of the busiest nights of the year in the hospitality business. During the bill debate Rolston Anglin said there was no reason why the bill should not be supported by everyone as it was for only one night, once every seven years and was to help the tourism sector, as he called on his legislative colleagues to end the year in unity on at least this one thing. Anglin also noted that as the numbers of people who worshipped on Saturday and not Sunday grew, government had to be careful of not placing more value on one Sabbath over another. Although, Anthony Eden had objected to the change in principle, the opposition members and Miller objected to the last minute nature of the change rather than the change itself. During the heated debate following government’s suspension of the order that requires a 21 day public consultation period, the premier accused the opposition of being some of the worst drinkers and accused them of drinking after hours. Bush added that there was nothing wrong with dancing as it was good exercise as he noted that the government was only giving the discretion to the board to let them decide. The premier also said he believed the existing Sunday trading laws were hypocritical as people were buying fuel and things in the gas station on Sundays but other shops couldn’t open. “It’s a hypocritical law and we should change it,” he said.